Wearing a helmet when riding your bicycle can save your life. Regardless of whether you ride your bike as a hobby, as a mode of transport or professionally, you should always wear a bicycle helmet. Here are three bicycling helmets with different features that might me relevant to consider when going for a ride. Whether you ride your bicycle for fun, as a way of transport or professionally, this helmet might be one to consider. Overall it has all the features that you would want in a helmet as it keeps you safe and is both lightweight and comfortable to wear at the same time. The helmet is unisex and is very adjustable, which means that it fits all head sizes. Furthermore, the helmet is sold at an extremely affordable price point at about $20, making it an excellent investment. Recently a new type of helmet has been added to the market; The Airbag Helmet. It might seem quite futuristic to some, but it is actually way safer than you might think. 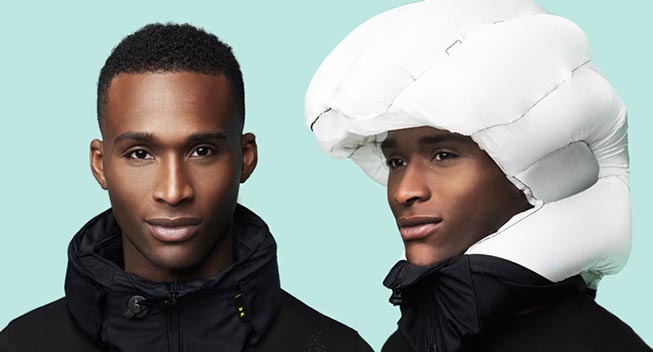 Studies of the use of the airbag helmet by Hövding show that the helmet is about three times as safe as a regular bicycle helmets as it protects a larger area of the head. Furthermore, the helmet is designed specifically to protect your head against all the most common types of injuries caused by cycling accidents in the best way possible. When activated the helmet looks like a hood consisting of a ultra-strong nylon fabric that won’t rip or break even if it is scraped against concrete. When activated the airbag fixates the neck and provides remarkably soft shock absorption preventing as many different types of injuries as possible. As opposed to the classic helmet that most people are familiar with, the airbag helmet is supposed to be worn around the neck. The helmet looks somewhat like a jacket collar when not activated and is very comfortable to wear. The airbag is inflated when sensors within in the helmet senses an accident happening. Thousands of different tests have been done to ensure the reliability and safety of the helmet as well as to make sure that the sensors within the helmet can sense the difference between cycling and accident. Even though the helmet might seem futuristic to some this makes it extremely reliable. The Hövding 2.0 helmet is both comfortable to wear and significantly safer the other types of helmets on the market. If safety is your number one priority when choosing a helmet, the Hövding 2.0 definitely is the way to go. The helmet is available on Hövding’s own website and is currently priced at €299. Are you one of the many people that tend to skip the helmet because you don’t like the way you look when wearing it? A helmet from Nutcase might be the right choice for you. Wearing a helmet when riding your bike could potentially safe your life and in cycling accidents the helmet often is the sole way to prevent potentially fatal injuries to the head. For this reason wearing a helmet should never be skipped. The brand Nutcase offers bicycling helmets in designs that let you wear a helmet without compromising with the way you look. The helmets come in a large number of different fashionable designs that makes the helmet seem more like a fashion-statement than a safety precaution. The helmets are available in both child and adult sizes.